Mixed sized pieces of tumbled Bronzite. Bronzite Tumblestones, measuring 20-30MM approximately along their longest point. These pieces would make a good decoration item in a bowl or small vase, although they should not be used as fishtank gravel or similar – the stone contains Iron, which would leach into the water. 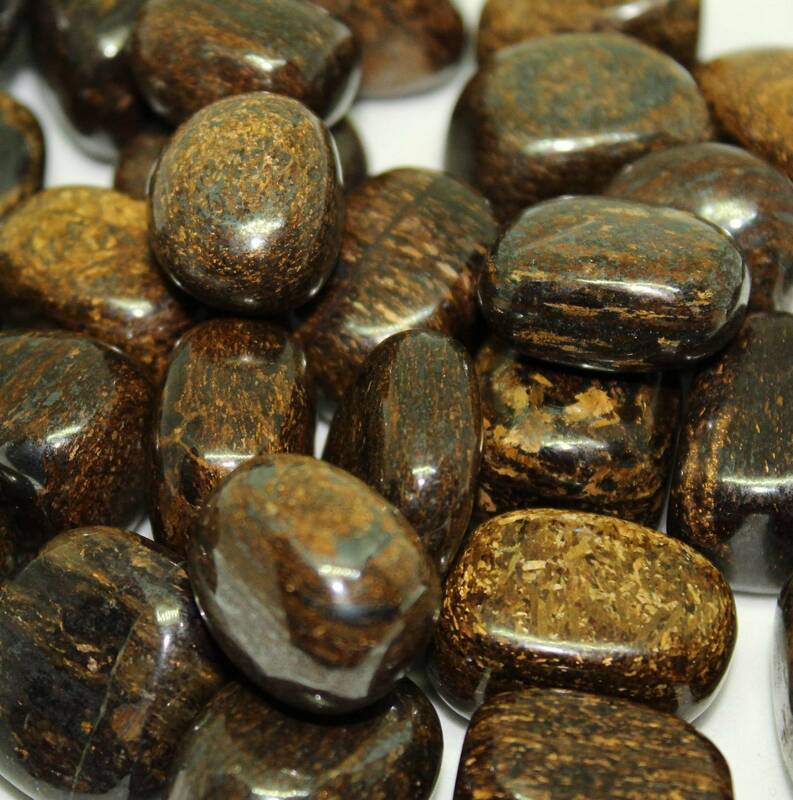 Currently we only sell these stones in a single size – 20-30MM. 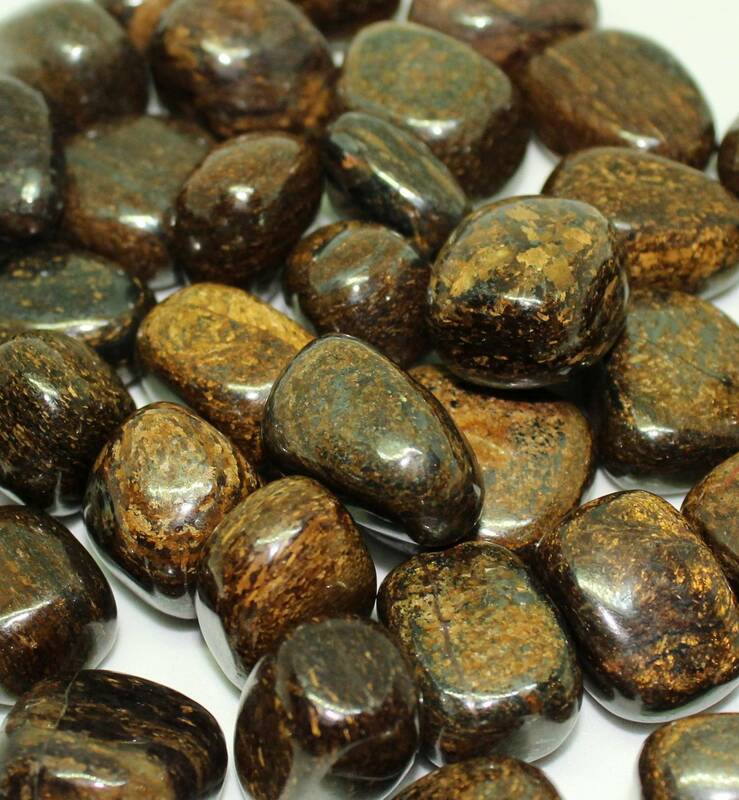 We do occasionally sell some other Bronzite products, including rough stones and carvings – please check our main Bronzite page for more information about the stone and a list of products.